NWLSO | Programs | Ms. JD | Determined to Rise. Ms. JD's student arm is the National Women Law Student's Organization (NWLSO). There are currently dozens of NWLSO chapters and affiliates across the country, and a growing individual membership. NWLSO's goal is to support female law students, in whatever capacity that may be, from brainstorming events to connecting chapters and affiliates with potential speakers to providing a blogging platform where your writing will be featured on a site that receives over 27,000 visitors per month.Quite simply, NWLSO exists to support all law students. Ms. JD is the premier national organization for women in the law, and, by joining NWLSO you will gain access to the wide range of Ms. JD’s resources for women. Through a NWLSO chapter or affilate at your law school, you will meet other women dedicated to supporting women in the legal profession. 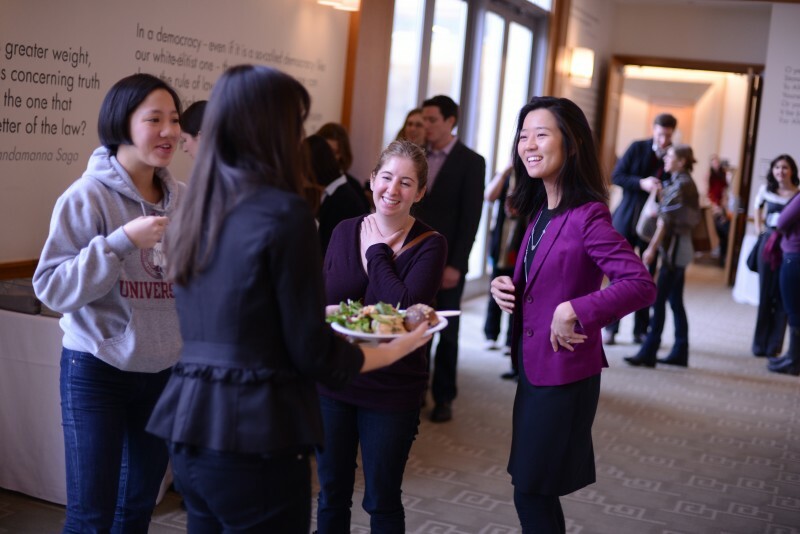 The connections you can make through a chapter will help you succeed in law school, find a job after you graduate, and continue to enhance your professional connections throughout your career. Keep in in mind that NWLSO chapters serve different functions on different campuses; we aim to tailor our support to the needs of your organization and student body, and so we want to work with you to find the institutional structure and relationship with NWLSO that works best for you and helps to make your organization a success! To learn more about the activities of NWLSO chapters and affiliates click here. Ms. JD often provides programming support to chapters and affiliates. For more information on how Ms. JD can assist your Women’s Law Association click here. To learn what it means to affiliate your Women’s Law Association with NWLSO click here. For more information on how to become a NWLSO affiliate or start a NWLSO chapter at your law school click here. Ms. JD decided to expand how women law students can be involved in Ms. JD by opening NWLSO membership to individuals, in addition to maintaining and growing the NWLSO law school chapters that we already have. We made this addition to NWLSO because we want to make sure we're reaching and supporting all women in law school, and also want to make sure we’re getting a broader picture of the issues facing women law students and how best to address these issues through our programming. Individual membership might be a good option for someone who wants to become involved with Ms. JD, but doesn’t have the time to create an NWLSO chapter on their campus. As an individual member, you’ll get access to all of Ms. JD’s NWLSO materials, have the opportunity to put on programs and events on your campus, and can reach out to Ms. JD for support and guidance as a chapter or affiliate would. If you'd like to sign up as an individual member of NWLSO, you can register here. If you’re an individual who is still pre-law, you might want to check out our pre-law resources.